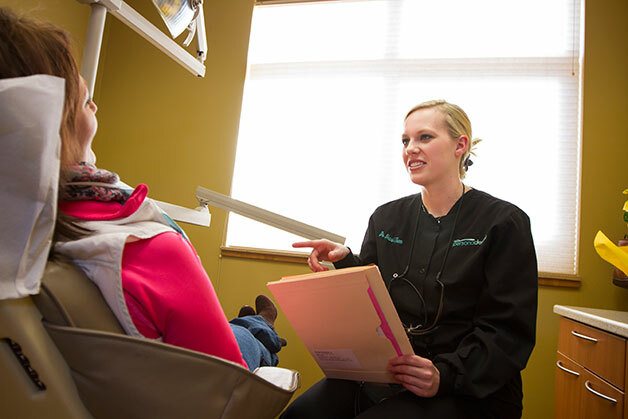 We're told over and over again that you notice the difference from the moment you walk through our doors at Persona Dental. We assure that your experience will be nothing less. From the warm greeting upon arrival to our many patient amenities, we do our best to make sure you feel welcome and at ease. Following a comprehensive exam, we will define a treatment plan sensitive to your needs, budget and schedule. With thoroughly-diagnosed and properly prioritized treatment, even the most extensive cases can be staged out over time and still fit within your dental budget. To schedule your appointment, click here to request an appointment or call our office at (320) 251-2972. One of our helpful patient coordinators will be happy to assist you. Dental treatment is an excellent investment and it is important to be able to schedule treatment and care right away. So that financial considerations should not be an obstacle to obtaining the care you deserve, we offer several financial options. Click on the following links to learn more about our flexible financing options, dental insurance, and our in-office dental savings program, Persona Perks℠.